Broad Estoppel After Failed IPR: What Prior Art "could have been found by a skilled searcher's diligent search?" A contention that that claims lack eligibility would not be estopped under 315(e). However, thus far the defendant has not alleged that the snow plow assembly is an abstract idea – despite the fact that plowing snow may be done with a pencil pushing a slip of paper, and the elements of the claim are each individually well known in the art. said lift frame, trunnion, A-frame and motion generating device all being attachable to and detachable from a vehicle as one assembly. [In other words, filing a patent application after a prior art search and its consideration is a lot more effective and efficient than trying to enforce a patent in which the only considered art was from a few available hours of USPTO examiner searching. Also, the spec was not liklely written to distinguish the prior art. If potential licensees can find much better patent or publication prior art for a few thousand dollars of searching, they no longer face having to pay for a trial and appeal to get that better prior art seriously considered. Personal rants about IPRs for 5 years now does not avoid them. Best practices have ALWAYS (AIA or no AIA) indicated that as thorough as possible of a prior art search during the initial writing of the patent application makes for the best patent applications. NOT required, mind you, but definitely a best practices. Stop being such an apologist, and start looking at the issues that those “personal” rants are talking about. And you have done so non-stop, even as others such as myself point out the fallacy of your actions. Thanks, but it hard to see why you and a few other ranters constantly confuse the difference between simply being a realist with being an apologist. You ascribe error where there is none. A realist would recognize the infirmities in the IPR system. You have steadfastly refused to unclench your eyes to such. As to any sense of “all the judges of the Fed. Cir. that have formally considered it” – this is a L I E, as the legal arguments that I have put forth have NOT been before those judges. Come Paul – stop your L I E I N G.
Right. That is as much as to say that “you can guess if you guess right.” However, the likelihood of guessing right is so small, that ignoring this best practice is distantly unlikely to result in an enforceable patent right. Invalid patent claims are a nuisance to the public, so IPRs provide a public benefit. By making it possible to clear invalid claims “off the books,” so to speak, one makes the whole patent system function more fairly and efficiently. There would likely be little call for something like the IPR system if everyone uniformly observed “best practices,” but such is not the world in which we find ourselves. and once again you are using that same circular logic, Greg. Much like the Tafas case, you do need to remember exactly whose duty it is to examine, and – once again – you do need to remember that after that responsible party has examined and the application transforms from mere application to granted patent, that the level (you AGAIN conveniently omit) comes into play in the LEGAL sense. You keep on making the same legal error Greg…. Estoppel should be even broader. It has nothing to do with the skill of the searcher. There are only two grounds for patentability in IPR – anticipation and obviousness. A party of interest gets one shot at each. The PTAB statutes have been so twisted and abused. It is unbelievable that such a trivial limitation is characterized as strong estoppel, when in fact it allows for unlimited challenges on the same grounds (in this case obviousness). OT, but some distant relationship with Comment 10 below. I trust I may be forgiven. This may be of interest to Ned Heller. I went on Google this evening looking for material on 18th century English patent law, and found stuff. In 1785, I would draw particular attention to two cases: Arkwright v. Nightingale and The King v. Arkwright. Of course 1785 is six years before 1791, which I understand to be the critical date for Seventh Amendment purposes. “This case was instituted by the Attorney General by writ of scire facias to repeal a patent granted 16th December, 1775 to Mr. Richard Arkwright, for an invention of certain instruments or machines for preparing silk, cotton, flax, or wool, for spinning. The proceedings originated in the petty bag in the Court of Chancery, and were transmitted by the Lord Chancellor to the Court of King’s Bench, to be there tried”. Note that Office of Petty Bag manages the common law jurisdiction of the Lord Chancellor. The jury verdict went against Arkwright. He sought leave to appeal, to bring more evidence, but leave was denied by the Lord Chief Justice, Lord Mansfield. The Court of King’s Bench of course sat in common law only. In an academic paper by Dr. Sean Bottomley (“Patent Cases in the Court of Chancery, 1714-58”, The Journal of Legal History 35, 2014) it is stated that the Privy Council is “generally thought” to have relinquished jurisdiction in 1753. Patent cases in the Court of Chancery? Well, if you sued for infringement, you would bring suit in common law in the Court of Common Pleas or the Court of King’s Bench. But if you wanted an injunction, you would bring suit in equity in the Court of Chancery. Relevant of course to eBay v. MercExchange. There are a lot of lawyers on the side of the USPTO (and Lemley) that continue to say, incorrectly, that the action scire facias was an “equitable” action without a right to a trial by jury simply because it was filed in Chancery. However, upon further inspection, the writ scire facias was filed in the Petty Bag, a common law court, for convenience as that was the location where the patent files were kept and registered. As discussed in Mowry v. Whitney, link to scholar.google.com, the action for invalidity had to go through the Attorney General to avoid harrassment of the patent owner. But protagonist was a petitioner, probably an accused infringer. The action probably proceeded exactly like it does in the ITC, save for the proceeding being in court and with a jury deciding the facts. As to Lemley–he is a liar. He does not respond to being called out for lying and misrepresenting his cites. He believes he is entitled to determine by himself whether anything he does is ethical. Lemley will never engage in a substantive response to what you wrote. There! Straight from the horse’s mouth! Pretty great quote. I thought all ethical people had agreed long ago that there was a right to jury for invalidity of a patent. The argument appears to be from the CAFC that these “patents” are not the patents discuss in the Constitution, but new “patents” that are authorized as part of the Commerce clause. That is how low we have sunk. The purchased CAFC does Google’s bidding. That is a very worthy and relevant quote, to be sure, but I wonder if it quite pertains to the issue at question. The VII amendment speaks of the right of jury trials being “preserved,” and the Court has interpreted this to mean that one only has to apply juries to issues and situations where juries were historically involved. The mere fact that a given issue was tried in a common law court does not mean that it was, ipso facto, tried to a jury. What is the evidence that we have that the validity issue was historically put to a jury. This case should be considered and discussed thoroughly by the upcoming PTO brief in Oil States. Back to Sir Edward Coke (“If a man sell a horse…”), if I may. Things moved on, between the Statute of Monopolies and the 1780s. Perhaps more on that later, but, for now, back to Coke. There are however exceptions: monopolist granted by letters patent to printers, to manufacturers of gunpowder, etc., plus sundry monopolies to vested interests to secure passage of the Statute of Monopolies though Parliament. And there is an exception for legal monopolies granted, for fourteen years, to inventors, under strict conditions. Unless a monopoly falls strictly within the exceptions, it is null and void under the common law, and, unless authorized by Parliament, can therefore be rendered null and void through an action at common law, notwithstanding that it was granted by the Crown. Or at least, so says Coke. A neat scheme for invalidating patents on inventions improvidently granted! Infringer (Power) loses validity in court, but wins in the PTO (Inter partes reexam). The infringer appeals the court loss. The patent (Fairchild) owner appeals the PTO loss. The Feds affirm the court judgment, and on motion, then order the reexamination dismissed. Obviously, this was a race to who could get the Federal Circuit to rule first, as that would decide the outcome. But why in the world should we even contemplate such completely wasteful use of public resources to allow the infringer to game the system? I wonder if the Director will order the reexamination converted into an IPR, again affirm that the claims are unpatentable and have that go up to the Feds once again, because the Feds recently ruled that the “USPTO” is not bound by the results in court in an IPR? Again, IPRs at best should only be low cost alternatives to litigation. If the infringer raises invalidity in court, the IPR should be promptly be dismissed, but certainly the IPR should not override an earlier court judgment affirmed by the Federal Circuit. Ned, merely to avoid further misleading any reader, as you know, this is not typical. As you know, a reexamination cannot be “converted” to an IPR, and no IPR can be initiated more than a year after the complaint in the parallel D.C. case. As you know, unlike reexaminations, IPRs have time deadlines and thus almost always get decided before the D.C. litigation. Also as you know, only D.C. IN-validity decisions stop other actions on the patent, not D.C. decisions that do not find invalidity. Why not stick to more effective valid reasons to dislike IPRs? Paul, it depends on when the IPReexam was filed, not so, not the date of conversion. PTO is out to invalidate patents, not to provide justice or to Kowtow to a mere court. I agree that it is pointless and wasteful to have parallel invalidity litigation and IPR proceedings. I would have liked the law to have required that invalidity proceedings in d. ct. be stayed once an IPR is instituted. That said, I think that you are overstating the awfulness of the situation. Imagine that a patent is asserted against two different defendants. Defendant A is sued in 2011 in Montana and Defendant B is sued in 2012 in Florida. Both defendants assert invalidity, but on different grounds. A’s invalidity bid fails in a May 2013 verdict and A has to pay damages, while B’s invalidity argument succeeds in a June 2013 verdict and the trial ends. In other words, inconsistent outcomes between the two trials, but the final judgment rule means that A still has to pay damages on a patent that turns out to be invalid. Not ideal, but the world keeps turning. That is basically what we are talking about in the Novartis v. Noven case, except that instead of two defendants, we had the same defendant in both trials. Noven’s ANDA cannot be approved, even though though they won in the PTAB, because they lost in the d. ct. It seems strange that Noven’s market entry is precluded by an invalid patent, but that is just how the final judgment rule works. Meanwhile, I agree that it was wasteful to have essentially the same arguments advanced in front of two different tribunals, but that is what you get when you leave the district court judge the discretion—as the AIA does—to continue proceedings even after the IPR has been instituted. IPRs are supposed to be a low cost alternative to litigation of validity. The only person who raises invalidity in court is the infringer. He should have a choice. Court or PTO, not both. I agree 100%. Congress intended IPRs to be a quick and affordable alternative to litigation. Instead, unfortunately, the CAFC (with the honorable exception of Judge Newman) have read the statute at every occasion as if IPRs are a supplement to litigation, thus yielding the perverse outcome of making litigation even more expensive and even more time consuming. Ideally, when the next round of corrections are proposed to the AIA, the statute will be revised to make clear that a patent challenger gets only one bite at the apple, and s/he must choose which. Are you inserting a standing requirement where Congress did not, Ned? Exactly Ned. The other thing about IPRs is that it violates a fundamental principle of our laws that someone should not be subject to suit over and over again for the same thing. The D should not get two or twenty bites from the apple. Insanity. Since Translogic in 2007 and Fresinius in 2013, the Federal Circuit has taken up the Quixotic attempt to harmonize conflicting findings of validity. It cannot be done because the issues are not identical – evidence, parties, standards, (due) process. Validity is not a threshold issue in most cases. Rather it is a question of whether the patent is good enough or not. It is good enough to issue and good enough under §282. But not good enough for the PTAB. Fine. The answer is to let the both rulings stand. The PTAB decision can be raised by the infinger and the district court can weigh it. Problem solved, sanity restored. Well Invention Rights, what if I were to tell you that we had to try validity twice in every case at great expense to the patent owner where only one of the trials counted. You would tell me that the system was designed to punish the patent owner for no good reason. No I do not think that we should have IPRs have no teeth. Secondly I think that there is no question at all that there is a constitutional right to a trial by jury for validity. Virtually everybody accepts us as true, except for certain panels of the Federal Circuit, and of course, the infringer bar and its allies, the IPO and AIPLA. [W]hat if I were to tell you that we had to try validity twice in every case at great expense to the patent owner where only one of the trials counted. You would tell me that the system was designed to punish the patent owner for no good reason. Agreed. I happen to favor the addition of IPRs to title 35, but I certainly agree that it should be one or the other (i.e., court trial on invalidity or IPR), but not both. It defeats the whole point of IPRs to turn them into something additional that happens in litigation, instead of an alternative to an invalidity trial in court. …and you still miss the fact that a subsequent addition to law – affecting as it does an item that has garnered other Constitutional protections – is just not on the same footing as the prior law. We all “get” that you feel a certain way about the addition of IPRs. But you have provided no evidence yourself of your position, and you keep on making legal errors – even as the errors have been pointed out to you. Finally, as I have noted to Ned and to Night Writer, the AIA leaves off a rather important aspect to IPRs: one simply is not required to have the element of “standing” as one who involved in Article III litigation. I think that there is no question at all that there is a constitutional right to a trial by jury for validity. Er, this is much less clearly true. I am willing to be convincing that there is a constitutional right to a jury trial on validity, but when I look at the historical scholarship, what I see is a mess. Everyone has a case to cite to support his/her position, which is the same as to say that there is no obvious answer to the question. What the heck does this mean? I’m a pretty darn “skilled searcher”, but that is by my own authority. Other than in our own heads (or the sales team pitching our services), there is zero determination of what a skilled searcher is or what a diligent search is. To see these terms is ridiculous. Honestly, what are the qualifications needed to be a skilled searcher according to the author? An email address and $10 worth of business cards printed at Staples? And which is the diligent search when a 3 minute search may find a specific, particularly relevant references while a 50 hour effort may miss it. To be fair, these are issues that my industry (patent searching) has been struggling with for decades. Currently, we have no ethical standards or professional standards and no one is pushing us to have these things. It’s always been a bit of a wild, wild, west environment and until a powerful external group (USPTO, EPO, IPO, AIPLA) demands better of patent searchers or even acknowledges that we are a profession, it will remain a chaotic world. As usual, your posts provide an insightful view. I would also throw in that mix the comment by one of the Office regulars here that examiners are “professional searchers” and that their work product (good, bad or indifferent) is “considered” to be a “diligent search” – and yet, it is that very role of the examiner that continues to be pummeled as the co-target (along with the “Tr011” FUD) by the efficient infringer groups. Focus on doing the job right the first time through. Do you imagine that imperfect examination during prosecution results form lack of focus? That they could do better if they tried harder, but they just are not trying? I suppose that is possible, but I am hard pressed to scrape any evidence together for the assertion. What is your basis for thinking this? You mean besides personal experience? Or do you mean the legion (and history) of the Office and its “Reject Reject Reject” era? Or do you (like Malcolm), seem to want to clench tight your eyes to that as well? You do seem to have some rather odd penchants at times Greg. I imagine that you are trying really hard to be personally antagonistic (with an odd penchant for evidence). Do you really need evidence for p0or examination? Perhaps I was not clear. I am not doubting poor examination. The evidence for that is clear enough (i.e., the rates of subsequent invalidation). My question is why you suppose that the poor quality of examination stems from lack of focus. It seems much more likely to me that we get poor searches because we underfund the agency and give each examiner only a few hours and a ~$1000 to do a job that requires several days and ~$10000 to do well. If you only pay Kia prices, it is strange to expect a Lexus. It is doubly strange to imply that the Kia dealer’s lack of focus is the reason why you are not getting a Lexus. It looks like you and Paul share the same conflated fallacies concerning internal Office decisions and what applicants actually pay for. (there is no such thing as a “Lexus-Kia” price differential, when it comes to what applicants have paid for). [T]here is no such thing as a “Lexus-Kia” price differential, when it comes to what applicants have paid for. Correct. Everyone pays for a Kia. Nearly everyone expects that they are receiving a Kia, your rather singular insistence that you have paid for a Lexus notwithstanding. Anyone who wants really ironclad claims needs to hire a professional searcher to do a really thorough search before drafting. If the first search that gets done on a set of claims is done by the examiner, then the applicant has gambled, and like all gamblers, maybe one wins, but more likely one loses. The payment is NOT a “Kia” payment. The payment is what the Office has set for a full and legally binding job. Please do not dissemble with the “Kia/Lexus” comparison – as this is exactly what I have already pointed out to Paul as his fallacy. Gambled that the examiner has done their job…? Sorry Greg – that’s a non-winner for you. This made me laugh. Er, yes, guilty as charged. Do you care to point to a specific example? Asked and answered – many times on this very thread. One can’t begin to examine the world’s literature and nobody would try. Likewise with the world’s software. It’s virtually impossible to examine it, unless the bulk were patented or published, which it by far is not and never will be. Anyone with a lick of common sense can see this. Perhaps you want to open your eyes as to the “promote” aspect (as in the advertising sense of the word) and exactly one of the reasons why we have a patent system, Mr. Snyder. To want to merely throw up your hands and say “why bother” is a rather ig norant thing to do (sorry for being blunt, but bluntness here is simply being accurate). Nobody in software uses patents for references or teaching, ever. But what is day to day reality in the face of your wishdreams about the grand bargain? Also of course a total non-sequitur to the general impracticality of examining software inventions. And yet again, you overlook the fact that patents allow the other more traditional avenues to be engaged. It’s not like you haven’t been informed of this before Mr. Snyder. And that is notwithstanding what could be made to happen with the patent system (as opposed to the Big Corp instructing its peeps to avoid looking at patents). I would suggest making the fact that an item is published in a patent a de facto triple fine condition, and then allow colorable arguments to work backwards from there. Return the stick (as well as the carrot) to the patent system in order to a have a strong patent system. That’s never, ever, ever going to happen, because it would be unjust beyond belief. Nobody can be reasonably expected to read all pertinent patents to exactitude. Of course, you are totally unmoored from the concept of proportionality, a universal criterion of fairness in both statute and common law, used for discerning balance between restriction imposed by a measure and the severity of the prohibited act. You overvalue the act of infringement and undervalue what would be an enormous, useless drain on the world and a source of endless individualized economic injustice. Your blinkered view is hardly sui generis, but it is the core reason the abuses that led to the reforms you hate in the patent system. It’s a false idol and that’s why we are where we are. The way that you clench tight your eyes, glom onto only those things that reinforce your existing feelings, and yet, you want to label me as blinkered…. [T]he world’s software… [i]s virtually impossible to examine…, unless the bulk were patented or published, which it by far is not and never will be. I take your point, and I suppose that this might be a real problem if software claims were routinely written in structural form. However, because they are mostly written in functional terms, all you really need to know to examine them is whether there is something out there that performs the same function, and my (admittedly, uninformed) impression is that there is enough disclosure out there of the various functions of various software that it is not really that hard to do a competent search. I will defer to others, however, if they think I am wrong in that assertion. I will be the first to concede that I know nothing about examining software claims. Mr. Snyder is the last person you should turn to for any sense of legal understanding.
? There is no such requirement, even for someone trying to avoid IPR estoppel, were only a “reasonable” search for prior art patents or publications, not public use or sale. [PGR prior art and estoppel is a different issue, but it has been rarely used.] Also, how is UNpublished literature prior art to AIA patents? I have heard the phrase “diligent searcher” in case law before but I don’t recall where exactly. Does anybody here have any familiarity with other cases that rely on this concept? Currently, the USPTO sets its user fee cost of examiner prior art searches as only $600.00, $300.00, or $150.00, respectively. You should be well aware that those charged fees are purposefully low (with augmentation from far more disproportionately higher maintenance fees). That’s a business decision by the Office, and one that should be reflected if one is going to (blindly) equate quality and price of service. Wow. Tripping on the fundamentals. Grounds presented but not instituted = not estopped. Grounds never presented = estopped. It’s clear enough what people will now do: List their 50, 100, 400 grounds in their IPR petition, get them all denied as redundant, and bingo. All are now nicely insulated from estoppel. What fun. Yes, but no more so that the logic of Achates and/or Shaw, which landed us in this circumstance. Dennis, I like your a bit about 101 at the end. A claim to an improved snowplow should not be declared abstract regardless of how broadly stated the claim is. In other words, claims, even broad claims, directed to new or improved machines should be eligible and therefore should pass Alice step one. Once again, I am compelled to remind Ned that Alice itself speaks opposite of what Ned says here. Where does Alice “speak opposite” of what Ned says? I understand Alice to say exactly what Ned says. 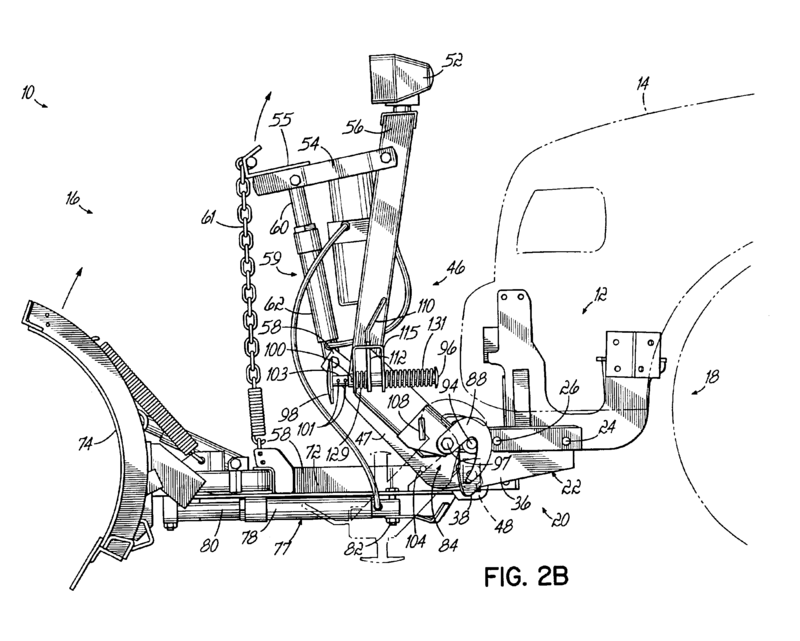 The first step is to determine whether the claim as a whole is directed to a “patent-ineligible concept.” A snowplow is not an abstract idea, a law of nature, etc. This is not anything new, son. What are you talking about? I thought we were talking about snowplows. You think there be some “magic” to “snowplow”…? 1. A snowplow, wherein said snowplow comprises a copyrighted set of instructions printed on the sides, wherein said instructions describe how to correlate thioguanine levels in human blood with a need for additional drug administration. Slice it or dice it however you like. The biggest problem with that claim is that it protects ineligible subject matter. Therefore: ineligible. This is not a difficult analysis. Work on those complete sentences written in English, “anon.” Maybe someday you’ll accidentally write an argument that makes sense. take your head out – you know full well what I mean. This development does present an interesting strategic choice- perhaps akin to a decision to arbitrate v. file suit in a D.C.
IPR’s are by no means a sure thing, and the cash savings over a D.C. litigation, while potentially substantial on absolute terms, may actually be minor on the relative terms of total potential damages and/or costs of injunction. It may get more interesting yet if the USSC grants cert on Samsung’s pending motion regarding, inter alia, the nature of an obviousness finding (law or fact) and the apparent resurrection of the mandatory TSM test at the CAFC. Martin, I believe the Federal Circuit is following KSR because KSR required that the the problem solved by the patent be known. Take a look at Hotchkiss, the source of both 103 and of KSR. There, the clay doorknob was declared to be the work of in the ordinary mechanic because the use of clay in doorknobs was “known” and because the combination of clay and the mechanical parts of the doorknob provided no new functional relationship. Thus one should be able to overcome prior art rejection based upon a combination by showing either that the prior art did not present a known problem that was solved by the invention, or that the invention provided new functionality, so-called synergism, that was unknown (unexpected) based upon the prior art. If there is no requirement that the problem be known or that the solution, even if known, provided unexpected results, then virtually every patent is invalid because the claim can be used as a blueprint to find the elements in the prior art and, by using mumbo-jumbo and magic words, simply declare that the claim is invalid as obvious. In discussing secondary considerations, the majority opinion references Apple’s own expert suggesting that the problem of pocket dialing was already known. The briefest time-qualified google search confirms that unintentional cellphone dialing was a problem before the priority date of the patent. One of ordinary skill in the art would seem to be motivated to find a solution that would distinguish between the random and the intentional. Providing a slide lock does not instantly jump out as the solution, although in hindsight it would seem obvious to be a solution to this problem. I was just showing that the problem was known. Ned was simply not correct in that statement, Ben. But the question is why one would look at this particular kind of art which had nothing to do with things that are placed in the pocket for solution? That looks very much like an analogous art argument. Are you aware that the majority opinion acknowledges that there was no dispute that the references were within analogous arts? KSR said that proving the answer to that question (of motivation) was not a mandatory element of non-obviousness. The whole point is to exclude “ordinary innovation” from the patent laws. See US 6,690,400 B1, in constant litigation and utterly both obvious and impossible to examine. If this is a good patent, any technical diagram should be patentable. That broken scoreboard effect of removing “ordinary innovation” is merely the Supreme Court attempting to scriven and return to what they desire (and what Congress explicitly rejected): the Flash of Genius. KSR said that… [t]he whole point [of §103] is to exclude “ordinary innovation” from the patent laws. Yes, the Supreme Court did say that, which just goes to show what a monstrous joke KSR is. By definition, if something is “innovation,” then it is not obvious. §103 codified Hotchkiss (or at least that is what the Supreme Court said that §103 did, and for all intents in purposes that means that §103 codified Hotchkiss, whether Congress intended as much or not). Hotchkiss was about preventing patents on that which was already known, not patents on innovation. Patent law does not even allow for the idea of “ordinary” innovation. If it is part of the state of the art, then it is not “innovation.” If it is “innovation,” then it is patentable. If you draw the Venn diagram of “state of the art” and “innovation,” there is no overlap between those two circles. “Innovation” is, by definition, patentable—even if it arises in the “ordinary” course of research (§103, “Patentability shall not be negated by the manner in which the invention was made”). Why impossible to examine? The district court already found 2 independent claims invalid, and the third has an instituted IPR. What makes these impossible to examine? Martin, I think the point was that the problem identified by the inventor did not preclude that the solution was to a problem known in the art. Still, without some showing that the solution was known to the art in some fashion, the invention cannot be obvious. Simply combining random things from the prior art to assemble them as per the claim is using hindsight only. That’s a nice sentiment in the abstract, but it doesn’t address the CAFC shenanigans in the Apple case. Problem known in the art. Solution explicitly taught in an analogous art. Not obvious, because PHOSITAs would never apply generic touch screen touchniques to a mobile touch screen. To call it a ressurection of the TSM test would be an insult to the actual TSM test. Martin, I was puzzled by: “IPR..cash savings over a D.C. litigation …minor on the relative terms of total potential damages and/or costs of injunction.” ? Of course some folks do get lucky in litigation with quick settlements, 101 motions, or summary judgments of non-infringement. But few actually contested 103 Validity issues can get decided without a full blown lawsuit trial and appeal that usually costs Many times more than an IPR. Also, if the potential infringement damages recoveries in that case are that low, how many parties would even want to proceed with the litigation? Defendant can still raise invalidity at DC based on public use, on sale, or other non-publication art. So there are many more 102 / 1o3 arguments available than those “deemed total failures” by PTAB. Sane point that will likely be ignored. A skilled searcher already performed a diligent search on those claims and came up empty. That’s why we allowed it. There has been a heavy running dose of that slap for some time now. Hey, I’ll happily accept said slap, if it means the presumption of validity will finally get a realistic critique by Congress. If you eliminate the presumption of validity, you might as well merely have just a registration system. Not to belabor the point here, but everyone is clear (right?) that even pre-grant claims still in ex parte prosecution have a presumption of validity. As the Supreme Court has kindly explained, “The word ‘presumption’ properly used refers only to a device for allocating the production burden.” Texas Dept. of Comm. Affairs v. Burdine, 450 U.S. 248, 254 n.8 (1981). In other words, when you speak of a “presumption of validity,” all that means is that someone has the burden of proving the claims invalid, rather than the applicant/patentee having the burden of proving them valid. Given that the burden is on the examiner during ex parte prosecution, that means that there is a presumption of validity, even pre-grant. As for Congress revisiting this point, I really do not see how this would be at all practical. It is one thing to ask an examiner to prove that a claim is not patentable. It is quite another to ask an applicant to prove that a claim is patentable. How would one ever do that? What sort of evidence could one possibly adduce to show that there is, nowhere in the world, an invalidating reference—especially given that U.S. law allows for secret prior art that, by law, the applicant has no right to access (i.e. filed-but-not-yet-published-applications). (1) I am not confusing “presumption” with “clear & convincing.” Quite the opposite. I am the one trying to stop others from conflating these two separate ideas. That is why I keep quoting Burdine on multiple threads. Too many people do not understand what “presumption of validity” means, and think that it is the same thing as “clear & convincing.” These two are analytically distinct points, and I am trying to force that distinction back into the front of people’s minds. (2) That said, if you think that I am treating clear-&-convincing “far too lightly,” you might want to flesh that out. How many cases can you find where the requirement for clear & convincing evidence was outcome determinative? I can think of two. If you are going to insist that the (alleged) loss of the clear-&-convincing stick from one’s bundle works a taking, it makes a difference to your argument whether that stick actually makes a practical difference. That is to say, if most validity contests arrive at the same outcome regardless of whether the standard is preponderance-of-the-evidence or clear-&-convincing, then it is hard to argue that the (alleged) loss of the clear-&-convincing stick is all that important to the value of the bundle as a whole. Your argument, in other words, depends on clear-&-convincing making a lot of difference in practice. The evidence for that premise is fairly scant. Your characterization is off in several regards. This does not look like much of a response. Did you have another detailed response trapped in the filter? If so, I will look forward to reading it whenever it eventually posts. It really does make for a dickens of a time trying to exchange ideas if posts are going to be embargoed so frequently. Except for the fact that you are missing in your trying, Greg. And missing badly. Making sure that an understanding of the proper level for the property right that is a granted patent is NOT conflating. The two ideas may indeed be separate, but they are most definitely related. In fact, it is you that assumes the conclusion that it is somehow “ok” to simply exchange one for the other as what happens with the AIA. It is you that needs to stop doing something (and that something is understanding that you are merely assuming your own conclusions on the different levels somehow being “OK” to change). Further, your own lack of making that connection is what prompts people like Pilgrim (below) to get the two wrong. I don’t understand what you think needs more “fleshing out.” The granted property right carries with it a certain level. This was made abundantly clear in a case that I provided – and for which you did not really note your understanding to (think i4i). As far as any “evidence of outcome determinative[ness],” we are discussing a point of law – for which your wanting evidence is altogether meaningless. First, as I mentioned, my position is a legal one and not an empirical one, and second, for the empirical fallout, that practical difference has also been shared: the results of the AIA in the PTAB and the alignment with the “death squad” type of results. You really cannot be that eyes-clenched now, can you? And further – if YOU don’t think it is that big of a deal, why don’t we KEEP that clear and convincing standard for IPR’s…? While you personally may not get bent out of shape with that idea, others who also maintain “there’s no practical difference” very much DO get bent out of shape with that idea. Maybe you did not notice that, eh? Absolutely not – as my argument is a legal one, and not an empirical one. But nice try at dodging the legal aspect there. Better luck next time. As to your comment below of “ Once again, we must tediously reprise this same fallacious assertion. ” the same reply as before applies: with all due respect, Bite Me. There is nothing either tedious, not fallacious about the legal statement. The statement is perfectly accurate. You seem to think that somehow a patent wiped out in the PTAB under that lower standard still carries with it the C&C standard for any later Article III undergoing. Clearly you have not thought through that conclusory assertion of yours. By the way, your assertion of “ Even before the AIA, however, the same patentees were subject to re-exam proceedings in front of the PTO in which they were only entitled to have their patents subject to preponderance of the evidence review. Ethicon Inc. v. Quigg, 849 F.2d 1422, 1427 (Fed. Cir. 1988).” is comparing apples and oranges. Re-exams were built on an entirely different premise and involved the patentee’s personal decision to relinquish their granted property right to arrive back into the Executive agency. You need to do a better job, Greg. Re-exams were built on an entirely different premise and involved the patentee’s personal decision to relinquish their granted property right to arrive back into the Executive agency. You are confusing reexams with reissues. Ex parts reexams were added to title 35 in 1981. In other words, every patent in force today was granted to a patentee who applied with the expectation that the patent will be subject to reexam—and the corresponding possibility of invalidation by a mere preponderance of the evidence. So, imagine the following hypo: US 5,568,455 is asserted in court. The defendant defends on the grounds that the asserted claims are obvious over Simms in view of LaCroix. The defendant also submits Simms and LaCroix to the PTO in an ex party reexam request. The Commissioner decides that Simms+LaCroix raise a substantial new question of patentability. The judge decides not stay the litigation, so the trial moves forward. The defendant is obliged to prove obviousness by clear & convincing evidence in court, but the reexam examiner is only required to show obviousness by a preponderance of evidence to reject the (already granted) claims. In other words, for literally decades before the AIA, the patent has been subject to attack at different standards of evidence. And yet, it is precisely the business of being subject to different standards of evidence that is supposedly the “taking” wrought by the AIA. How can there be a “taking” of the patentee’s immunity against preponderance-of-the-evidence attack, when no patentee’s has had such an immunity since 1981? Not quite. Your legal point (viz., the loss of the clear-&-convincing hurdle from my bundle works a V amendment taking) depends on an empirical premise (that this hurdle is so significant in practice that it eviscerates the value of the “bundle” if this “stick” is removed). You cannot establish your point of law until first you establish the empirical premise on which it depends. Your desire to rely on empiricism is simply not correct. Did the Court go out and ask for empirical data in the New York rooftop case? [T]his Court has dismissed “taking” challenges on the ground that, while the challenged government action caused economic harm, it did not interfere with interests that were sufficiently bound up with the reasonable expectations of the claimant to constitute “property” for Fifth Amendment purposes. So, is clear-&-convincing “sufficiently bound up with the reasonable expectations of the claimant”? That is to say, when the applicant pays the issue fee, what really motivates him or her to pay that fee. What are the sine qua nons that, if eliminated, would make the grantee say “it is not worth paying this issue fee”? I am skeptical that most applicants care overmuch about the clear-&-convincing vs. preponderance discrepancy. As evidence for my skepticism, I would note that everyone who applies now knows that they are applying for a system in which IPRs (at preponderance standard) exist, and yet U.S. filings have not appreciably declined post-AIA. Similarly, everything that you can say about IPRs and the preponderance standard was equally true of inter partes reexams, and yet (once again), filings did not appreciably decline after the 1999 amendments that created inter partes reexams. Nor after the 1981 amendments that created ex parte reexams. Basically, the willingness of applicants to plop down money to achieve patents seems singularly unaffected by the existences of mechanisms to cancel claims for less than clear-&-convincing evidence. This tells me that clear-&-convincing requirements are not ” sufficiently bound up with the reasonable expectations of the claimant” to constitute a “taking” if that stick is slipped from the bundle (which it has not been, in any event). I have already addressed your feelings, Greg. Your feelings matter NOT AT ALL on this legal point. The problem comes up in the litigation context when juries are instructed that there is a “presumption of validity,” rather than just being instructed the burden is on the accused infringer to prove invalidity, the “presumption” becomes another piece of evidence on the scale on the side of the patent owner that the defendant has to overcome. Keep the presumption, but do away with jury instructions that include an instruction that there is a “presumption.” Just stick with the instructions as to who has the burden. But Pilgrim, the burden is on the infringer to prove invalidity by more than just preponderance of evidence. The infringer must prove invalidity with clear convincing evidence and this means that reasonable doubts must be resolved in the favor of validity. I hope you favor juries being instructed on the law. Unless of course, Ned (as you are aware of), that selfsAme bundle of sticks that is known as the property of a granted patent is subjected to the (political) executive branch decision point of the IPR initiation decision, at which time that clear and convincing aspect is taken away with NO right to Article III review and with ZERO remuneration. Now, Greg would like you to believe that this is merely a de minimus value loss, so as to not invoke other Constitutional protections of property rights, but as we have all seen, that view simply does not hold true to reality. [T]hat… bundle of sticks… is subjected to the (political)… decision point of the IPR initiation decision, at which time that clear and convincing aspect is taken away with NO right to Article III review and with ZERO remuneration. Once again, we must tediously reprise this same fallacious assertion. No, the clear-&-convincing aspect does not get “taken” away at the institution of an IPR. If your patent is in court, and the defendant asserts invalidity as an affirmative defense, the defendant must still prove that invalidity by clear & convincing evidence in order to succeed in that affirmative defense. That is true, even if—at some point during the course of the litigation—an IPR is instituted against the same patent (even if the IPR is instituted on a petition by the same defendant). The clear-&-convincing stick never disappears from the patentee’s bundle. Perhaps that is because it is not quite accurate enough to say that the patentee ever had a right to have the patent subject to clear-&-convincing evidence as a prerequisite to invalidity. Rather, what the patentee acutally had was a right to have the patent subject to clear-&-convincing evidence as a prerequisite to invalidity during litigation in an Art. III court. Even before the AIA, however, the same patentees were subject to re-exam proceedings in front of the PTO in which they were only entitled to have their patents subject to preponderance of the evidence review. Ethicon Inc. v. Quigg, 849 F.2d 1422, 1427 (Fed. Cir. 1988). In other words, they never had a right to clear-&-convincing review in the PTO, so one cannot meaningfully say that their right to clear-&-convincing review in front of the PTO was “taken” from their bundles by the AIA. The government cannot “take” from you what you never had in the first place. The real difference between pre-AIA and post-AIA is not that you used to have this clear-&-convincing stick in your bundle, but now you do not. Both pre- and post-AIA, the patentee was liable to land in the PTO in a procedure in which the patent claims were subject to attack under only a preponderance of the evidence standard. Rather, the real difference is that inter partes re-exam was so clunky a procedure that few challengers wanted to go that route, while inter partes review is so much more efficient that now we are actually seeing large numbers of people file for IPRs. In other words, everything that you believe to be a “taking” in the AIA was already true before the AIA. But if patentees did not actually have the rights pre-AIA that you imagine them to have had, then how could the AIA have “taken” these rights from them? Rather, what the patentee acutally had was a right to have the patent subject to clear-&-convincing evidence as a prerequisite to invalidity during litigation in an Art. III court. And, of course, the patentee still has that right, even under the AIA. Greg, the patentee has no right to a trial of validity in court. That was the decision in MCM Portfolio LLC v. HP. Sure, Ned. That is not a point that anon was arguing, but I grant you that you have put your finger on something that the patentee had before the AIA and now does not have. As noted elsewhere, however, “the denial of one traditional property right does not always amount to a taking. At least where an owner possesses a full ‘bundle’ of property rights, the destruction of one ‘strand’ of the bundle is not a taking, because the aggregate must be viewed in its entirety.” Andrus v. Allard, 444 U.S. 51, 66 (1979). In other words, if one is going to challenge the AIA on “takings” grounds (as Anon wants to do) then it is not enough merely to say “I had this stick in my bundle, and now it is gone.” One must show that the “stick” taken amounts to a serious interference with the value of the bundle overall. Given how rarely patentees have historically exercised their rights to appeal to the DDC (or later the ED Va), I am not sure how one might hope to make out that this particular “stick” is a very substantial part of the value of the bundle. In other words, whether the taken “stick” is the clear-&-convincing (which, as shown elsewhere on this thread, is not even really taken) or the right to appeal to the ED Va (which is empowered to make further fact findings beyond the PTO’s), I still do not see that this gets one to an unconstitutional “taking” as Anon supposes. You still refuse to (instead of “do not”) see. For all of your talk about being particular about the difference between the level of presumption and what presumption (in general) means, you STILL act like “a” presumption is somehow interchangeable with “any” presumption. The answer of course is for you to open your eyes. That seems to happen a lot lately. When did this start? I go away for Lent, and when I come back, typing a comment section becomes like entering a mod-filter mine-field. Fairly recently – the moderation mechanism was most definitely changed (and no “helpful guidance” was provided). Further, once tripped, ALL comments now become ensnared – and it no longer is based on any particular “George Carlin” type of words. One clear “casualty” is actual conversations and back and forth exchanges. Of course, it all comes back around to the perception (at the least) of what the “desired narrative” is to be. Yes, so I noticed. I also notice that sometime around 9:30 am lately, they all get released in a great whoosh, which I take to be the mods flushing out the comment board sump trap. The net result of course is a stoppage of dialogue. There are clear perceptions generated about what the desired “ecosystem” is meant to serve here. That’s a funny thing about true Freedom of Expression – you end up not controlling the narrative. And it is abundantly clear that “ecosystem” has been nothing but a smokescreen for controlling the narrative. Almost embarrassingly so, in fact. This outcome, even if sustained by the CAFC, won’t stem the tide of IPRs – the odds of winning at the PTAB are just too good and outweigh the risk of estoppel.